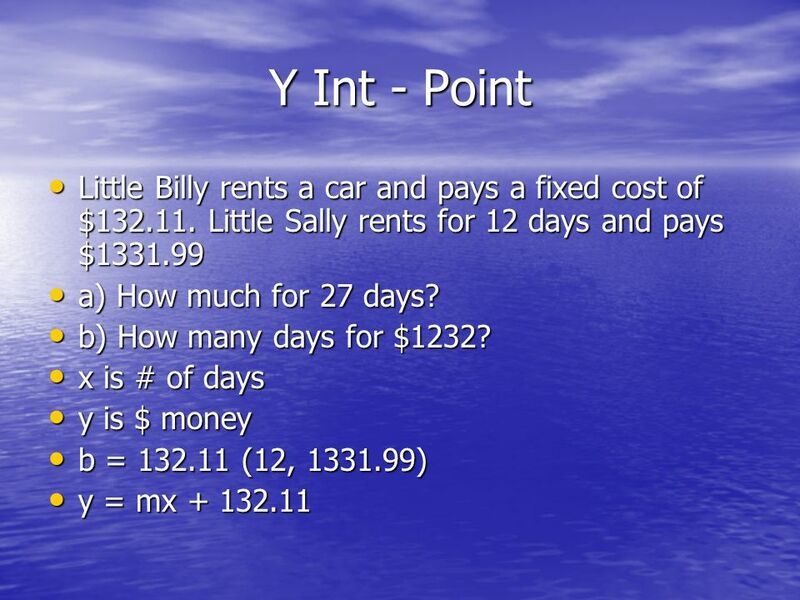 13 Point – Point Little Billy rents a car for 5 days and pays $463.65. 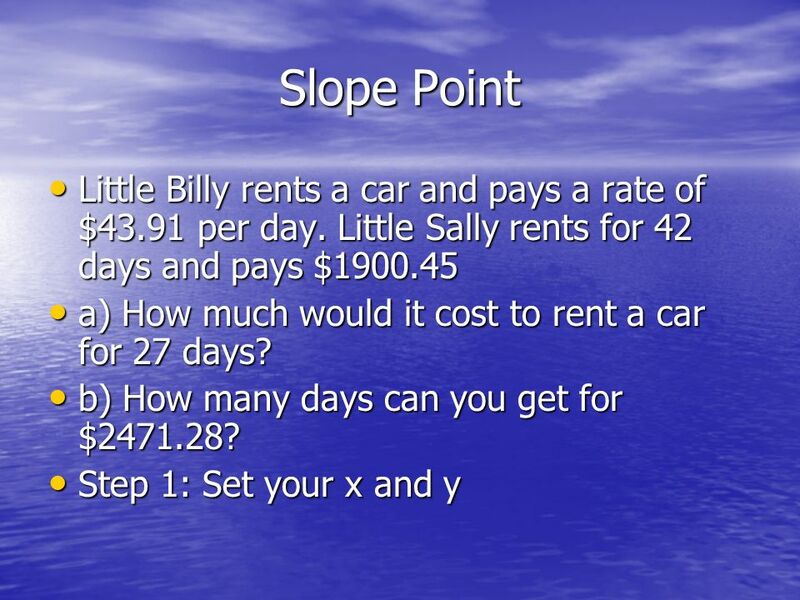 Little Sally rents a car for 14 days and pays $1208.22 Little Billy rents a car for 5 days and pays $463.65. 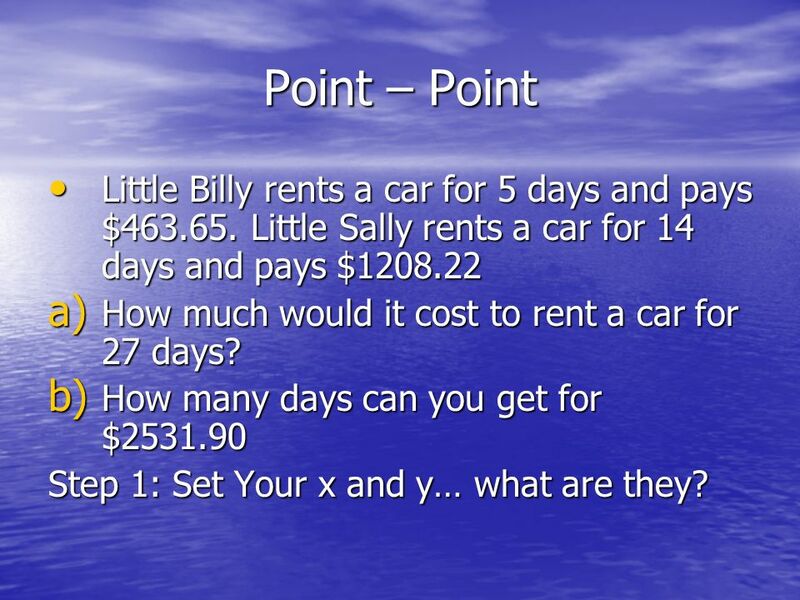 Little Sally rents a car for 14 days and pays $1208.22 a) How much would it cost to rent a car for 27 days? 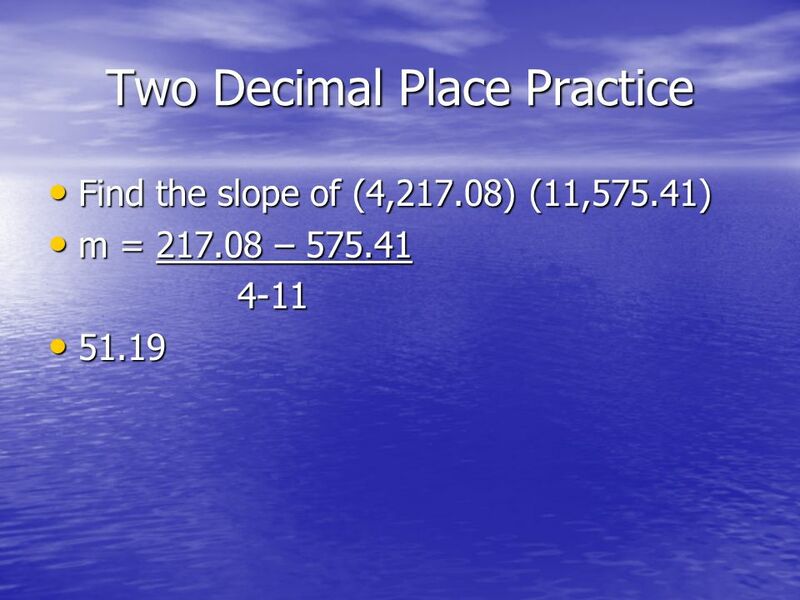 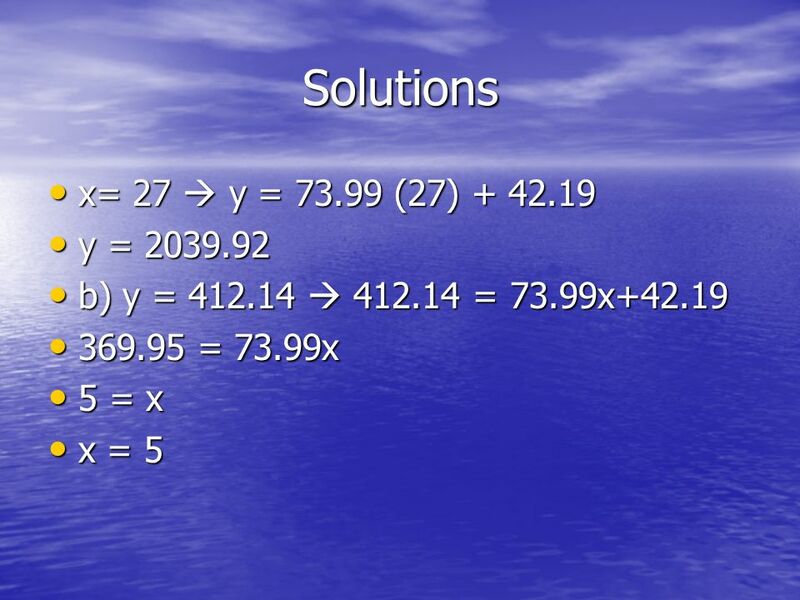 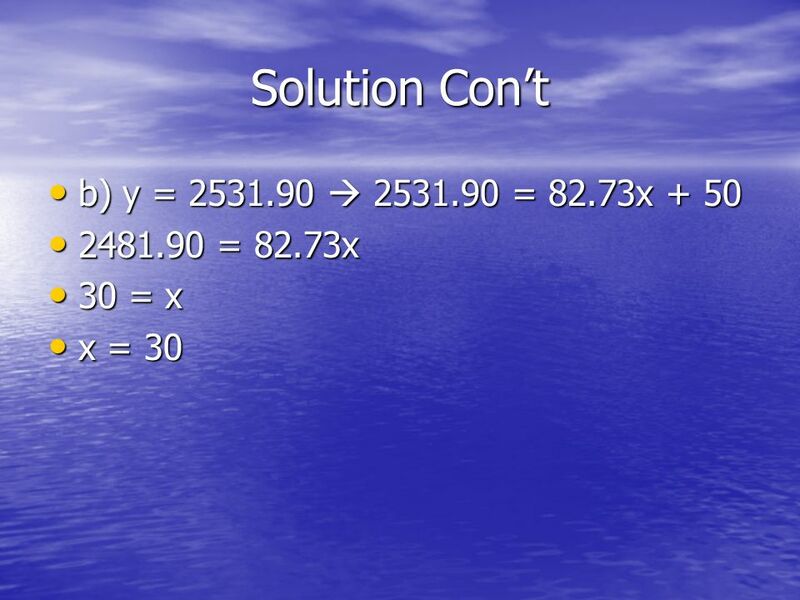 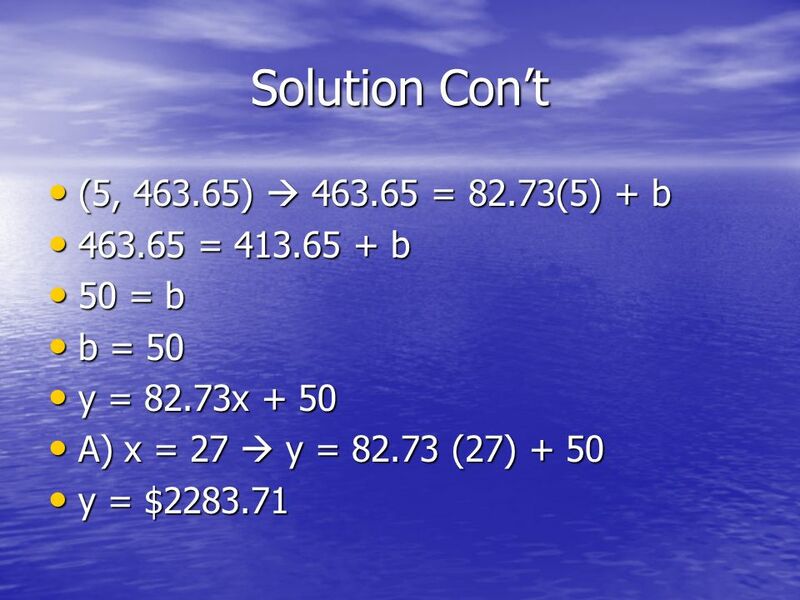 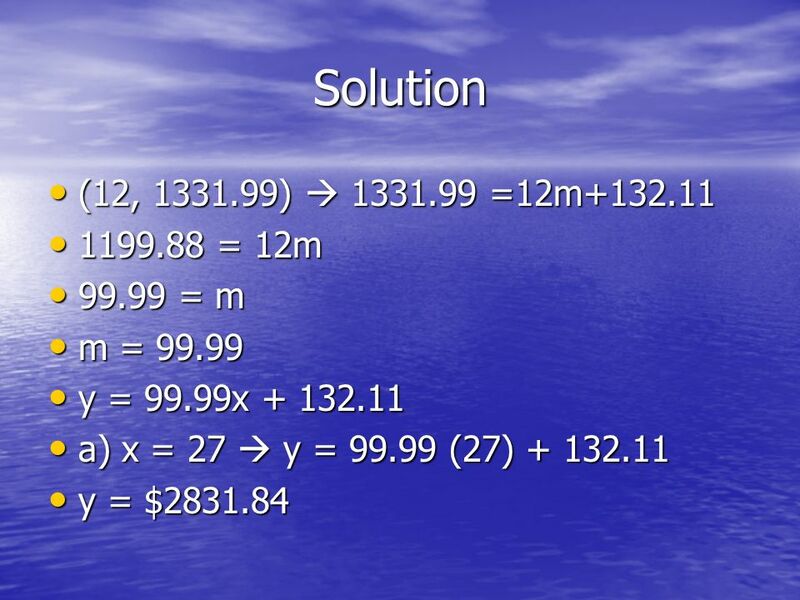 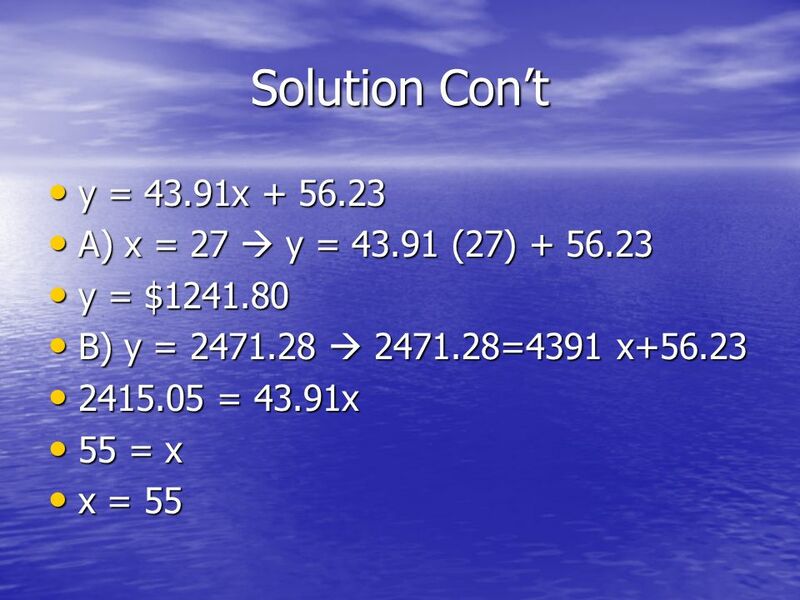 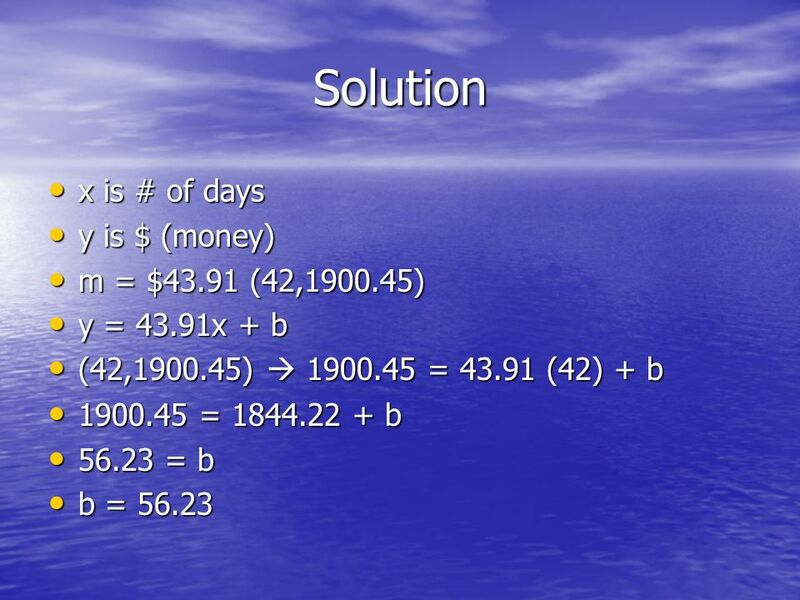 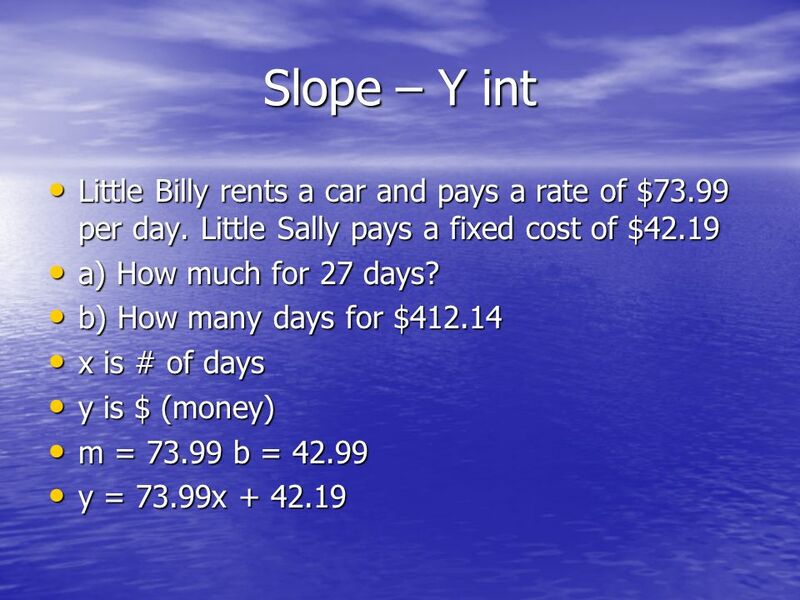 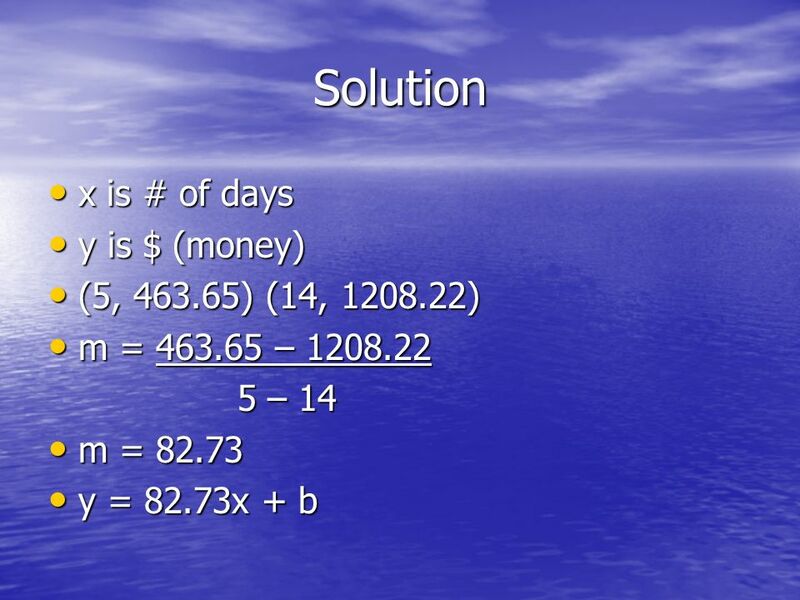 b) How many days can you get for $2531.90 Step 1: Set Your x and y… what are they? 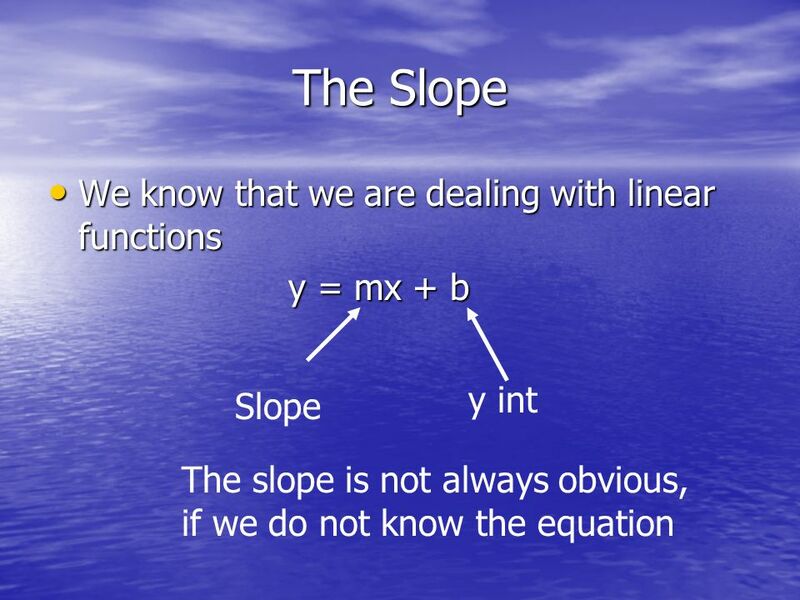 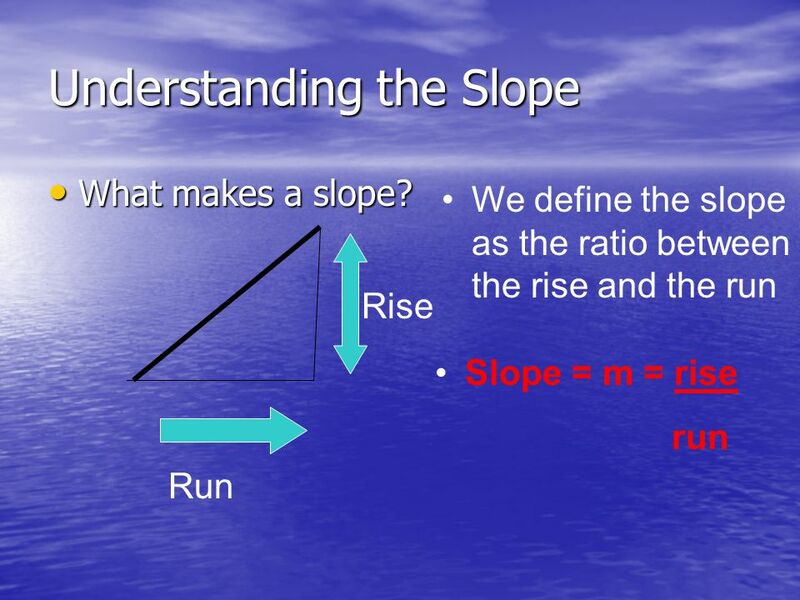 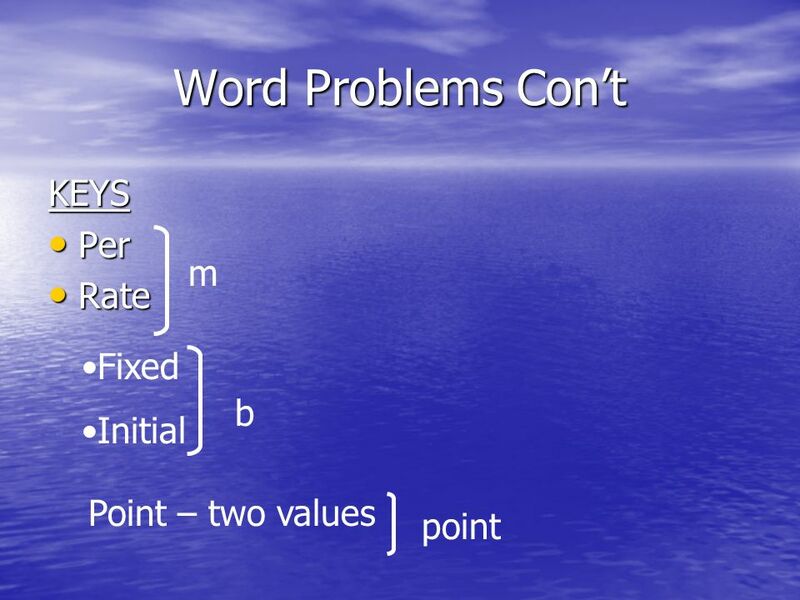 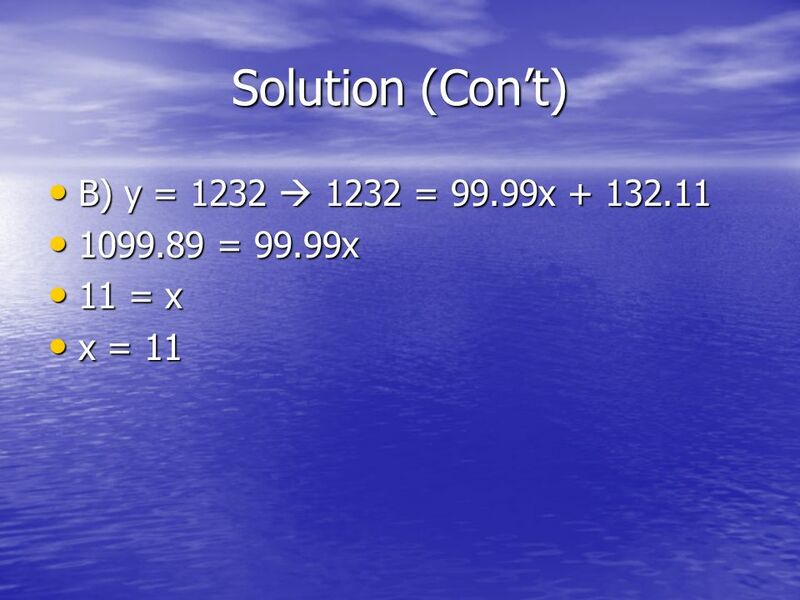 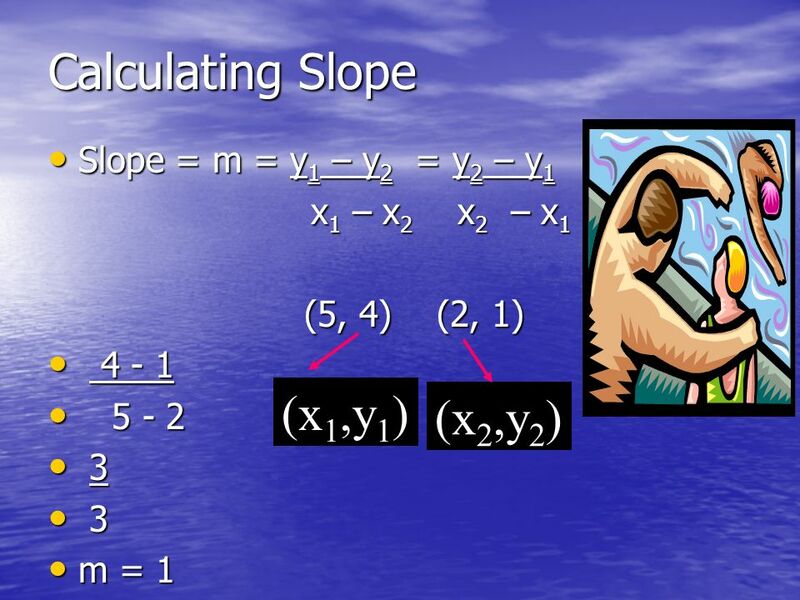 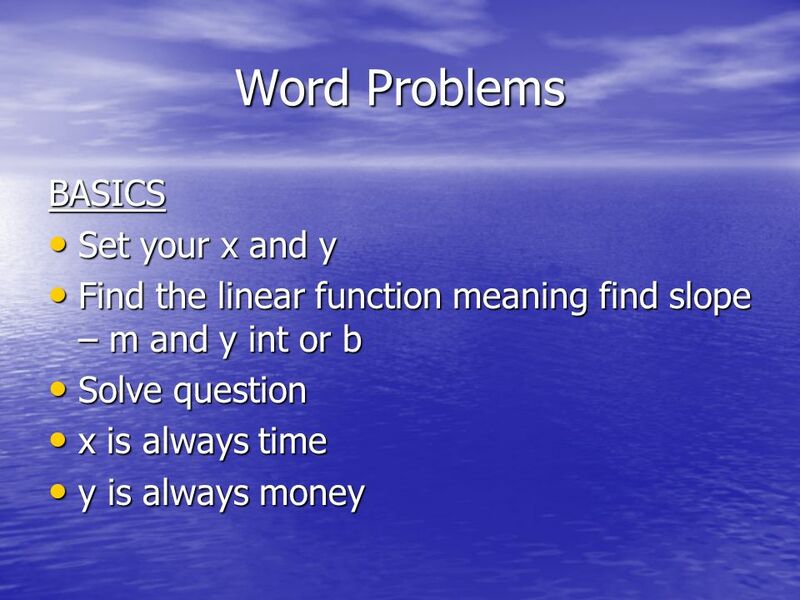 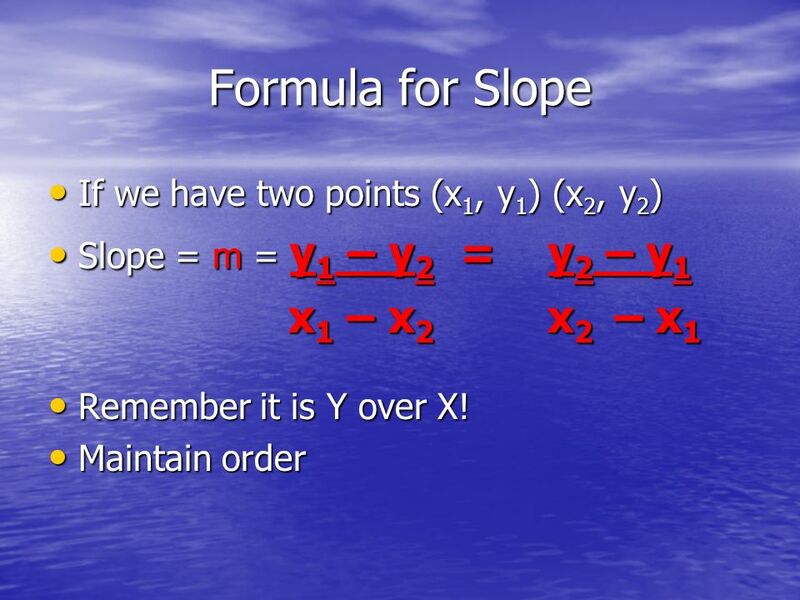 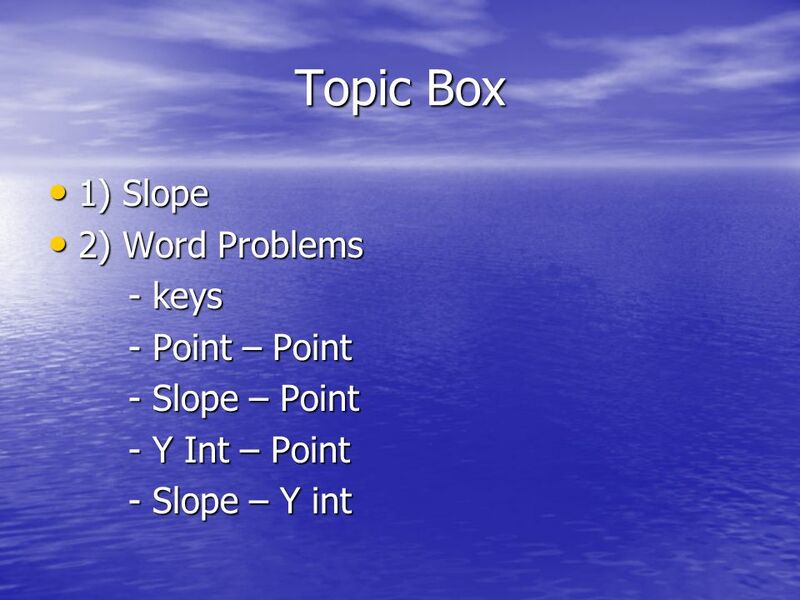 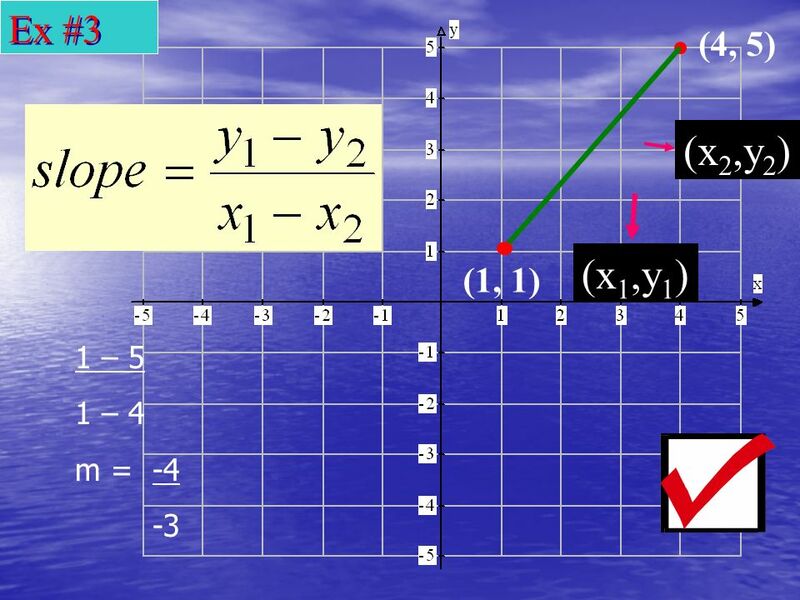 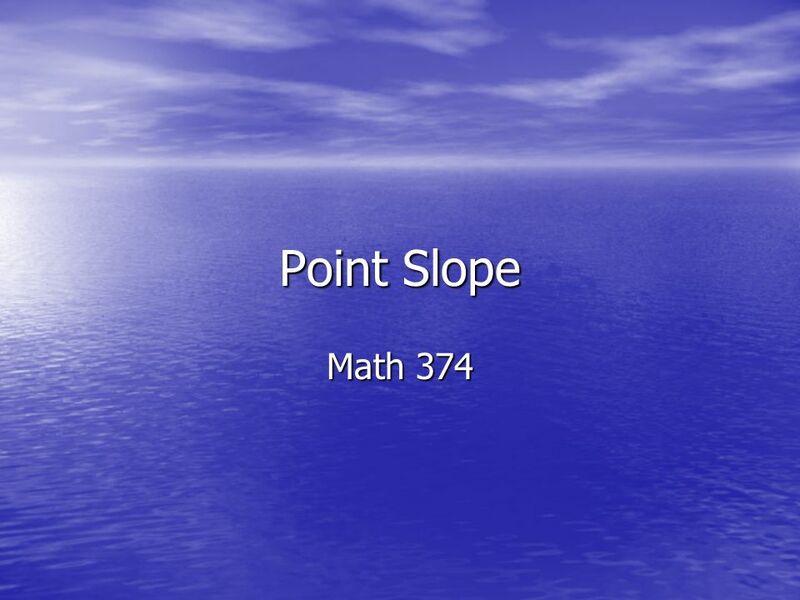 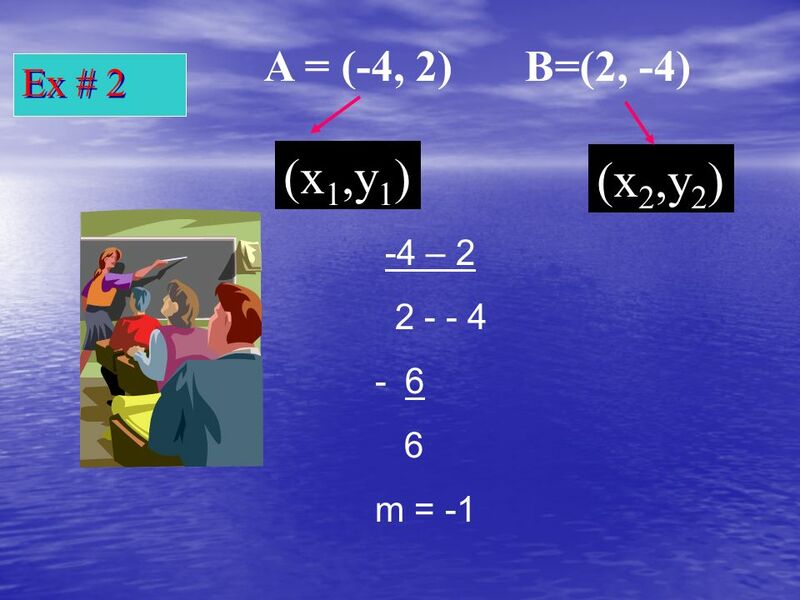 Download ppt "Point Slope Math 374 Topic Box 1) Slope 1) Slope 2) Word Problems 2) Word Problems - keys - Point – Point - Slope – Point - Y Int – Point - Slope – Y."